Election signs will be banned from roundabouts and the time they can be displayed slashed, under an advertising shake-up proposed by a major south-east Queensland council. 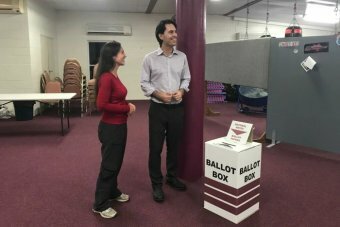 Moreton Bay councillors last week voted to tighten election sign regulations, with the proposal to go out for public consultation from January 7 next year. The move comes after a Supreme Court challenge to the Moreton Bay Regional Council's election advertising rules, which was being pursued by a handful of LNP candidates, including current Queensland deputy leader Tim Mander. 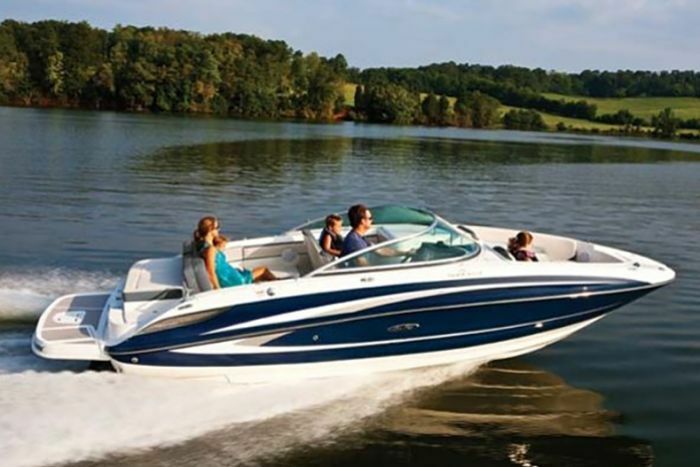 The case was put on hold during negotiations with the council. Under the proposal, mayoral candidates would be allowed to have 300 signs displayed across the region while state election candidates would be restricted to 120. The time corflutes can be displayed will be cut down to six weeks before polling day on private and public land, while they will have to be removed one week afterwards. Corflutes would be banned within 20 metres of key "driver decision areas", for example school zone signs, roundabouts and intersections. It comes after several changes were adopted in October 2017 as an interim measure to cover the state election. Mayor Allan Sutherland said the council had attempted to compromise with the LNP and put the issue out to public consultation. "But locals have loudly and almost unanimously told us that they don't want electoral signage laws relaxed," he said. "In fact they want to see stricter limitations enforced on political parties and their campaign signage to prevent a proliferation of election material all year round." Cr Sutherland said the council's lawyers had already spent about six weeks on the case at a cost of $100,000. "Frankly, it's a waste of time and money," he said. "Which is why I urge the LNP to respect the views of our community." Cr Sutherland said Moreton Bay was the "kingmaker" of state and federal politics and urged both major parties not to ignore the region. "We are the region that determines government," he said. "Politics is a numbers game and the most important seats in any election are the swinging seats - and the most significant swinging seats are right here. "Look at the state election in 2015: Kallangur, Morayfield, Murrumba, Pine Rivers, Pumicestone and Redcliffe all changed from blue to red, helping Labor scrape across the line into office. "Then following the 2017 state election we saw four ministers from this region elevated to the Queensland cabinet - that's the biggest voting bloc in cabinet of any region in Queensland." An LNP spokesman said the party stood by its submission to the Moreton Bay Regional Council. "[The LNP] will now consider a response as part of the public consultation process," he said. The stoush dates back to the 2016 federal election campaign when lawyer Shane Williamson, acting for immigration and border protection Minister Peter Dutton, former assistant minister Wyatt Roy and member for Petrie Luke Howarth, wrote to the council. Mr Williamson argued the restrictions were “incompatible with the constitutionally mandated system of responsible government". Queensland’s Crime and Corruption Commission is investigating allegations a political donation to Moreton Bay mayor Allan Sutherland was a bribe to ensure the council gave a multimillion-dollar events contract to a wealthy local businessman. As part of a widening probe into the council, witnesses have told CCC investigators Mr Newcombe boasted to friends in May 2016 he had no doubts the council would give MBRIT the contract because of a $20,000 donation from his mother’s chain of car dealerships to the mayor’s election campaign a few months earlier. The events include the Redcliffe KiteFest, which attracts tens of thousands of paying visitors annually, as well as a range of business and community events. MBRIT also runs the region’s visitor centres, which are staffed by volunteers. Mr Newcombe is alleged to have claimed he engineered the payment via his mother’s company to disguise his involvement. A sworn witness statement to the CCC, obtained by Fairfax Media, alleges Mr Newcombe bragged in 2016 he was not worried about the upcoming council vote on the MBRIT deal because the donation had made it a foregone conclusion. “I’ve got it sorted. I’ve met with the mayor and Corinne (Mulholland, the mayor’s executive officer) and gave $20,000 to the mayor’s campaign,” he is alleged to have said when asked how he thought the vote would go. Cr Sutherland and Mr Newcombe did not respond to requests for comment. Moreton Bay Regional Council did not respond to or acknowledge detailed questions. The MBRIT deal, awarded without a public tender despite protests from council managers, was renewed and significantly expanded in controversial circumstances this year, making it worth more than $20 million over five years, the council’s biggest single procurement. Fairfax Media revealed in September that the council helped Mr Newcombe secure the deal in 2016 by giving him unfettered access to confidential council financial documents. The mayor, chief executive and a small group of councillors, all beneficiaries of the mayor’s political campaign fund, also allegedly secretly briefed Mr Newcombe on how to persuade councillors to award him the contract. Village Motors, the dealership chain owned by Mr Newcombe’s mother Marlene Newcombe, made a $20,000 donation to Moreton Futures Trust, a fundraising vehicle for Cr Sutherland and a handful of other councillors, just prior to the local elections in March 2016. The money was channelled via Newcombes Holdings, the company that owns the dealership chain and where Mr Newcombe is a director. Corinne Mulholland (centre) was MC at the wedding of Shane Newcombe (left) and Ethan Tyler (right). Electoral disclosures show local developer and hotel owner Rob Comiskey donated $20,000 to Moreton Futures Trust in 2016 via his company Rio Vista Securities. Marlene Newcombe told Fairfax Media she had been advised not to comment. Ms Mulholland did not respond to detailed questions. Fairfax Media has made efforts to contact Mr Comiskey. Under the disclosure regime in force in 2016, details of the donations to Moreton Futures Trust were not published until several months after the election. It is not clear how Mr Newcombe knew of the Rio Vista Securities donation, but he and Mr Comiskey are close associates. Ms Mulholland, a close associate of both men, took time off from her council job to help run Cr Sutherland’s 2016 election campaign. She is the endorsed Labor candidate for the federal seat of Petrie and stepped aside from her influential council role last month to focus on political campaigning. Councillor Peter Flannery, who chairs the council committee responsible for the MBRIT deal, told Fairfax Media earlier this year that Cr Sutherland had reassured him and other councillors prior to the awarding of the initial MBRIT contract in 2016 they need not worry about a conflict based on relationships with Mr Newcombe, “because Shane Newcombe’s business is separate from his mother’s business”. During the Operation Belcarra hearings into the conduct of the 2016 local elections held at the CCC last year, Cr Sutherland testified he had been “happy not to know” who the donors to Moreton Futures Trust were because “it’s hard to have a conflict when you don’t know who the donor is”. The CCC in July began investigating the circumstances of the May 2018 renewal of the MBRIT deal following a complaint from a ratepayer. The renewal decision was delegated to council chief executive Daryl Hitzman after seven councillors declared minor conflicts of interest on the basis they were friends of Mr Newcombe, had attended his wedding, or had a friend who had worked for him. No councillors who received donations from Moreton Futures Trust mentioned this at the vote. The council last month removed all information about the MBRIT deal from its “awarded tenders” website. This is in spite of Queensland local government regulations requiring councils to publish details of all contracts worth more than $200,000. The council has provided no explanation as to why the information was taken down. Since 2016, MBRIT has become closely integrated into council operations. The organisation is mentioned 15 times in the council’s economic development strategy document. Mr Newcombe also chairs Regional Development Australia Moreton Bay, a federally-funded business liaison body that also features heavily in the council’s economic strategy. Ms Mulholland declared a staff conflict of interest over the renewal of the MBRIT deal this year on the basis she had been invited to be master of ceremonies at Mr Newcombe’s wedding. Two weeks before council’s vote on the contract renewal, she recused herself from a review of the service level agreement, the document that sets council’s performance expectations of Mr Newcombe’s company. Fairfax Media revealed earlier this year that Mr Newcombe had authored the first draft of the original service level agreement in 2016. The forerunner to the CCC, the Crime and Misconduct Commission, in 2010 cleared Cr Sutherland of allegations he had been gifted his $2.1 million home by a developer. 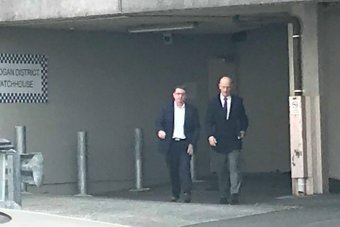 In 2013, the CMC decided not to act after The Courier-Mail published secret recordings showing Cr Sutherland had conspired with a donor to plant a donation on a political rival in order to discredit him. Who are the shareholders in the NEWPORT DEVELOPMENT PROJECT ? Ratepayers are funding MBRIT to run events.Not to influence the planning decisions of the Moreton Bay Regional Council? MBRIT is a beneficial enterprise of the Moreton Bay Regional Council. The council has published no details of the renewed contract and has refused to respond to repeated enquiries about it. A council staffer has revealed Crs Charlton and Greer were the only councillors who attended a secret meeting in early 2016 where Mr Newcombe conducted a “dry run” of a presentation on the benefits of the MBRIT deal in front of the mayor and chief executive Daryl Hitzman. “It was very secret squirrel,” said the same former staffer. 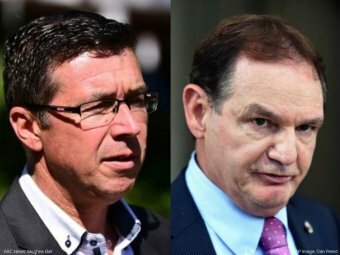 Fairfax Media revealed last month that the CCC is investigating the circumstances surrounding the May 2018 contract renewal. Councillors delegated that decision to chief executive Daryl Hitzman after seven of them declared “perceived conflicts of interest” on the basis they were friends of Mr Newcombe or had attended his wedding the previous week. Council insiders have told Fairfax Media the outcome was never in doubt, saying that since at least late 2015 they had been expected to give Mr Newcombe whatever he asked for to make sure the deal went through. “It was a done deal,” one former staffer with detailed knowledge of the dealings with Mr Newcombe said. The staffer revealed that so many documents were downloaded on to USB sticks to give to Mr Newcombe it triggered an alarm on the council’s computer system. When councillors voted for the MBRIT deal, the motion included a requirement for Council to agree a “service level agreement” with MBRIT that would govern how MBRIT was expected to perform and limit the council’s financial liability. The council has declined to provide a copy of the service level agreement, despite repeated requests from Fairfax Media. Division two councillor Peter Flannery, the council’s spokesman on economic development, said councillors had accepted there would be no tender for the outsourcing project in 2016 because they had decided no-one else could do the job. The council did not answer detailed questions. A spokesman said: “Council understands that the CCC is currently investigating a complaint from a ratepayer. With an investigation underway, it’s not appropriate for council to comment further. Fairfax Media submitted questions separately to the mayor Allan Sutherland and each of the other 12 councillors. Councilor Adrian Raedel (division 12), who had previously raised concerns about the MBRIT deal, said he had not been present at the meeting to award the contract on May 17, 2016 so had not participated in the vote. Five Queensland councillors and mayors will be automatically suspended as early as next week, under a massive overhaul of local government. 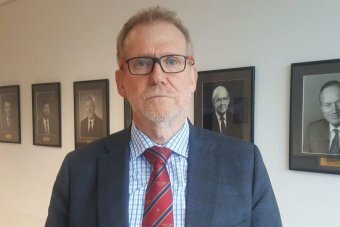 Under laws passed on Thursday night, councillors charged with serious integrity offences - such as bribery, corruption and fraud - will be automatically suspended on full pay, pending the outcome in court. Local Government Minister Stirling Hinchliffe will now have more powers to sack councils. Local Government Minister Stirling Hinchliffe confirmed five councillors would be affected. It is understood the provision will affect Logan mayor Luke Smith, Ipswich former mayor Andrew Antoniolli, two members of councils from remote Indigenous communities and one other councillor. A sixth councillor would have been affected, but was disqualified because of a failure to attend the required number of meetings. Mr Hinchliffe said he was "pretty confident" the councillors involved were aware they would be stood down. "Because they are indeed clearly integrity offences that they relate to," he said. The automatic suspension would be lifted if the person was found not guilty or the charges were dismissed. Mr Hinchliffe will also write to every councillor and mayor in Queensland to advise them of the new rules. Logan mayor Luke Smith took to social media on Thursday night in response to the new laws. "So while then (sic) State Government is claiming credit to stop innocent Mayors charged with corruption, the m1 is still a mess at 6:00 pm - what is this government actually doing?" Mr Smith posted on Facebook. The powers were among two bills passed through Parliament, which ban donations from property developers at a local and state government level, establish an Office of the Independent Assessor to investigate and deal with misconduct and ban people convicted of integrity offences from being a councillor for up to seven years. The LNP unsuccessfully tried to also ban political donations by unions. The bills will come into effect upon assent by the Governor, which could be as early as next week. The laws also give Mr Hinchliffe more powers to sack councillors, mayors - and dissolve entire councils - "in the public interest". What is in the public interest will be decided on considerations, such as complying with the law, accountability and transparency, corruption or serious maladministration and not managing conflicts of interest, Mr Hinchliffe said. 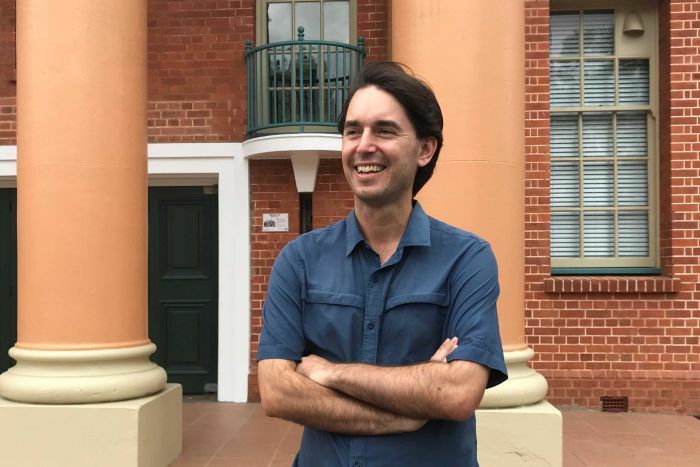 Mr Hinchliffe began moves to appoint an administrator at the Ipswich council and asked councillors why they should not be sacked earlier this month after the crime watchdog charged Cr Antoniolli with seven counts of fraud. Ipswich councillors still have until May 24 to show cause as to why they should not lose their job. But Mr Hinchliffe would be able to move to sack councillors in Ipswich - should he decide to take that action - as soon as the bill becomes law, rather than waiting for the current show cause period to expire. That would mean issuing another show cause notice, of between seven to 28 days. Mr Hinchliffe said the reforms would make mayors, councillors and councils more accountable to their communities. "There are currently a number of mayors, councillors and council officers in Queensland facing dozens of criminal charges between them," he said. "The Crime and Corruption Commission has warned there are more charges on the way. "Our reforms are not designed to catch those who make genuine mistakes, but to deal with the tiny minority not living up to community expectations." Fraser Coast Regional Councillor and acting Mayor, George Seymour, has claimed victory in this weekend's mayoral by-election, and will replace sacked councillor Chris Loft. With 82 per cent of the vote counted at 1.30pm on Sunday, Cr Seymour holds more than 39 per cent of the vote with just over 23,000 votes — more than twice that of his nearest rival, fellow councillor Darren Everard. The by-election was unusual in that it was the first time a Mayor had been sacked in Queensland without the whole council being sacked. Chris Loft was dismissed as Mayor of the Fraser Coast by Local Government Minister Stirling Hinchliffe in February for "serial breaches" of the principles in the Local Government Act. Speaking outside the Maryborough Town Hall this afternoon, Cr Seymour said the polls were pretty clear. "I'm feeling good about the result," he said. Cr Seymour said he now wanted to focus on the future. "The council needs to improve. I get that," he said. "The first two years of the council's four year term have been tumultuous, wracked with division and debate. "We need to unite the council." Cr Seymour is a member of the ALP. The 38-year-old, softly-spoken Californian went to university in Brisbane before moving to Hervey Bay 14 years ago. Cr Seymour spent Sunday morning in Maryborough for a Labour Day march and the city's Pubfest event, before heading to the region's southernmost town of Glenwood in the afternoon for a progress association meeting. He vowed not to neglect the region's outer areas, where some residents are resentful of the council's 2008 amalgamation of Hervey Bay City, Maryborough City, Woocoo Shire and most of Tiaro Shire. Cr Seymour also promised to improve the council's relationship with businesses to tackle the region's unemployment rate, which at 10 per cent is nearly twice the national average. "The council needs to work really closely with businesses and people who are proposing to invest," Cr Seymour said. "The last two years have meant that our eyes were taken off that. "Once we have a stable council we can focus on bigger picture issues. "I've already started talking to businesses about bringing jobs to the region." Cr Seymour has also been a vegan for 20 years, eschewing animal products including leather. "I try to lead a life without harming anyone; human or other types of animals." Fellow councillor Darren Everard conceded defeat, saying "the better man won". "The man couldn't beat the machine in the end," he said. "George is a good fella and I'm sure he'll do a good job. "Tomorrow's a new day and we'll spend it making the Fraser Coast a better place." Community disillusionment was a common theme in the lead-up to the election. "The comments I'm getting about the council I really can't say on radio," candidate Paul Forst, a boilermaker, told ABC Wide Bay. "There's no doubt that the council has lost the respect of the community." 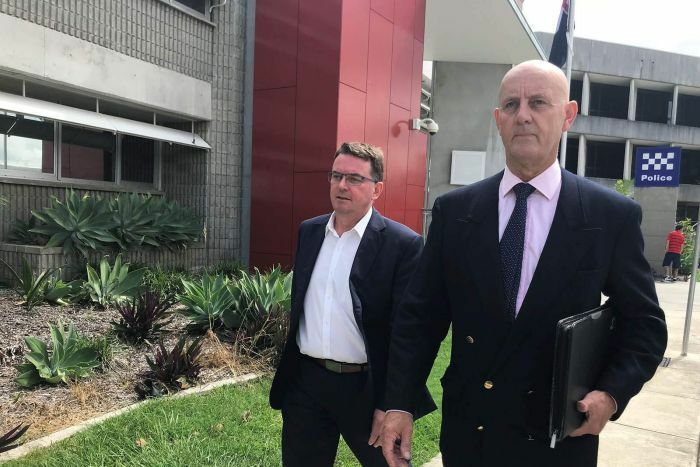 The Crime and Corruption Commission (CCC) has determined it is in the public interest to advise it has commenced an investigation into allegations of corrupt conduct relating to decision-making by some Gold Coast City Council councillors. The allegations broadly involve possible conflicts of interests relating to decisions on a range of development matters on the Gold Coast. The CCC referred some matters in September 2017 to the then Department of Local Government, Infrastructure and Planning to investigate subject to the CCC’s monitoring role. The CCC has since considered an interim report from the Department. The allegations, which raise a reasonable suspicion of corrupt conduct, will now be investigated by the CCC. It is important to note that all allegations should be treated as unsubstantiated until the investigation is finalised. Whilst the investigation is progressing, the CCC is unable to comment further. This includes not commenting on specific developments or decisions of the Council that are the subject of the investigation.